You get unreliable evaluations in your company. Root cause analysis often finds that incomplete , incorrect, and missing master data are responsible. Such problems can be caused by software errors, but also by user input errors. Unfortunately, this can not be completely avoided. One way to counteract the master data problem is to regularly check the important master data areas for possible errors. T · A · P GmbH develops the logic for the data checks together with the customer. 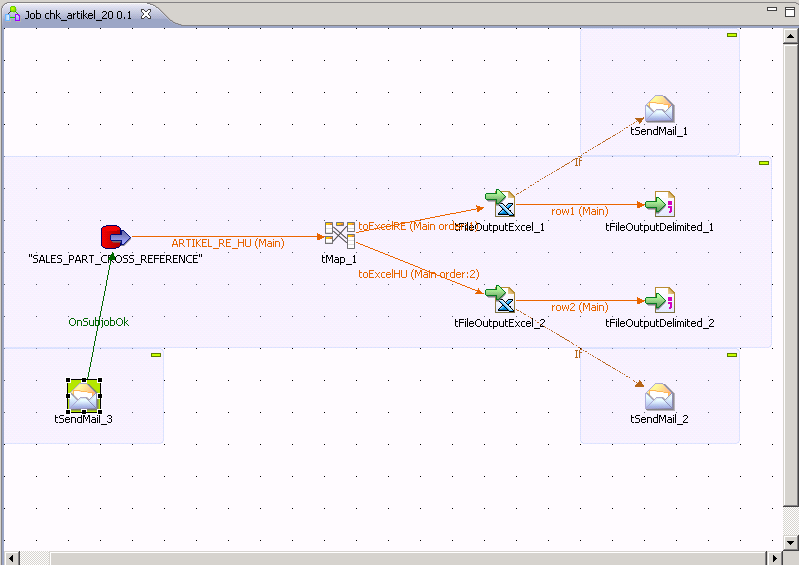 For the visual and technical implementation of this logic, we have chosen TALEND Open Studio. 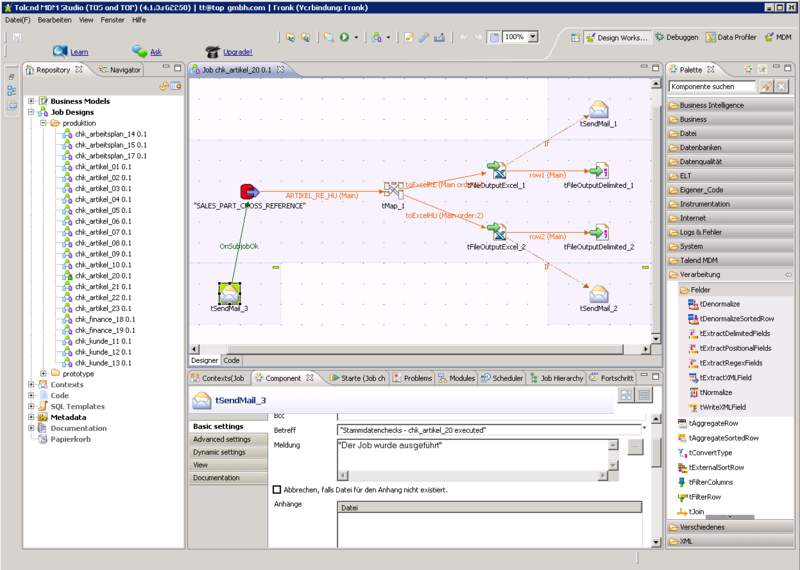 With the development environment of the TALEND software, the required test jobs can be easily declared, extended and executed. 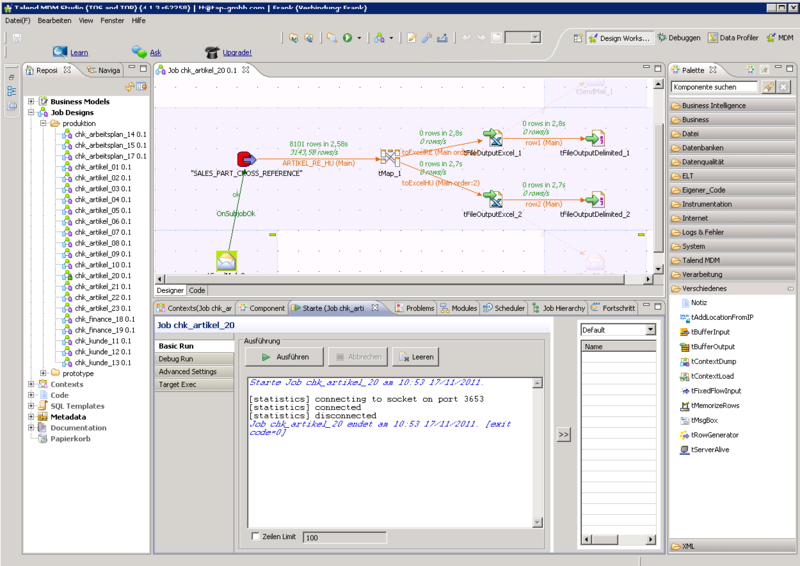 The TALEND development environment primarily serves as a tool to generate executable Java programs from the defined jobs. These can then be executed automatically at regular intervals.